We are the factory authorized service center for Kieninger clocks in our service areas for North America. In 2012, the Kieninger Clock Factory celebrated it’s 100th anniversary. 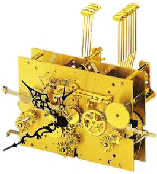 The Kieninger Clock Company was founded in 1912 in the Black Forest by Joseph Kieninger and therefore is the oldest existing manufacturer of mechanical clock movements for grandfather, wall, and mantel clocks in the world. Since 1917 the Company has been located in Aldingen, a charming village just between Black Forest and 'Schwäbische Alb'. In 1993, Kieninger became part of the Howard Miller Group (USA), the largest manufacturer of grandfather clocks in the world. quality mechanical movements and clocks. This has proved successful and it is no surprise, that today Kieninger is known around the world for its craftsmanship and only the highest quality products. We repair all Kieninger clocks and the older Kundo clocks which were part of the Kieninger Oberfell company. All Kieninger mantle and wall clocks are repaired at our national service center location. We receive shipments every day from around the world at our clock repair department. Please look at our shipping page for more details. 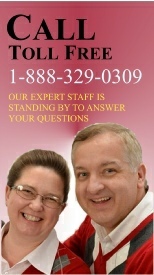 We have service technicians in the following areas who make house calls for your Kieninger grandfather or floor clock. Many wall clocks are too large to easily transport, so we will make house calls for these as well. Since 1976, we have been in the clock repair business and have become one of the most respected clock restoration and repair companies in the northeastern United States.